This is the default name for the upcoming iPhone. It seems logical taking into consideration the sequence number, after the iPhone 7. 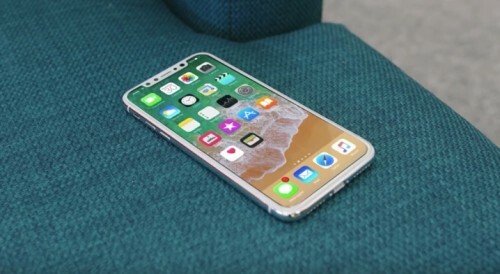 John Gruber assumes there may be no “iPhone 7S” name, if these models are significantly redesigned, they may be called "iPhone 8". Consequently, the high-end iPhone will be called in some other way. This may draw a parallel between the new smartphone and MacBook and iPad of the Pro-line. Such a solution will show the innovation of the iPhone, highlighting its professional-oriented design. Still, such a name could associate itself with work, making users think of it as of an exclusively work tool. This name will not be logical in any way if to talk about numbers. Although, this is the 10th anniversary of the iPhone, so it could be justified to some point. But the problem here is if iPhone will use the Roman number X, users will inevitably call it “iPhone-Ex”, as they did with the OS X. Some think Apple could name its new smartphone like that. Seems logical, but Apple is not likely to refer to the past. They want customers to associate the company and its products with the future and innovation. This sounds like a basic model, rejecting the “innovativeness” and “individuality” of the new iPhone. Besides, such a name would be hard to optimize for search engines. Some definition, like “iPhone 2017” or “OLED iPhone” will be added to the name. This will not be handy in any way. While Steve Jobs was for the names with “i” at the beginning (iMac, iTunes, iCloud), Tim Cook tends to add “Apple” instead (Apple Music, Apple Watch). Although, the idea of changing one of the most valuable brand names doesn't seem fair. Those are just guesses, and no one will be surprised if Apple invents something totally outstanding. We’ll see it soon.